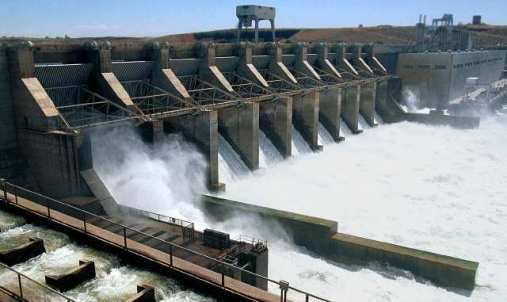 A dam is a hydraulic structure of fairly impervious material built across a river to create a reservoir on its upstream side for impounding water for various purposes. These purposes may be Irrigation, Hydropower, Water-supply, Flood Control, Navigation, Fishing and Recreation. Dams may be built to meet the one of the above purposes or they may be constructed fulfilling more than one. 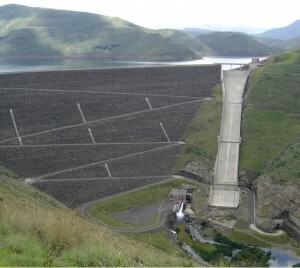 As such, Dam can be classified as: Single-purpose and Multipurpose Dam. Crest: The top of the Dam. These may in some cases be used for providing a roadway or walkway over the dam. Parapet walls: Low Protective walls on either side of the roadway or walkway on the crest. Heel: Portion of Dam in contact with ground or river-bed at upstream side. 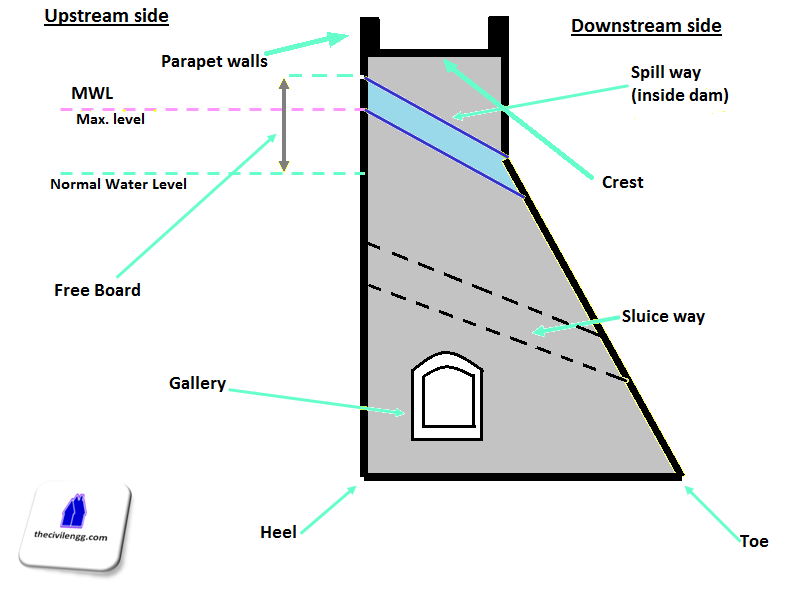 Toe: Portion of dam in contact with ground or river-bed at downstream side. Spillway: It is the arrangement made (kind of passage) near the top of dam for the passage of surplus/ excessive water from the reservoir. Abutments: The valley slopes on either side of the dam wall to which the left & right end of dam are fixed to. 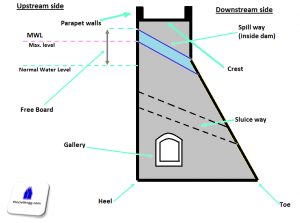 Gallery: Level or gently sloping tunnel like passage (small room like space) at transverse or longitudinal within the dam with drain on floor for seepage water. These are generally provided for having space for drilling grout holes and drainage holes. These may also be used to accommodate the instrumentation for studying the performance of dam. Sluice way: Opening in the dam near the base, provided to clear the silt accumulation in the reservoir. Free board: The space between the highest level of water in the reservoir and the top of the dam. Dead Storage level: Level of permanent storage below which the water will not be withdrawn. Diversion Tunnel: Tunnel constructed to divert or change the direction of water to bypass the dam construction site. The dam is built while the river flows through the diversion tunnel. Storage dams: They are constructed to store water during the rainy season when there is a large flow in the river. Many small dams impound the spring runoff for later use in dry summers. Storage dams may also provide a water supply, or improved habitat for fish and wildlife. 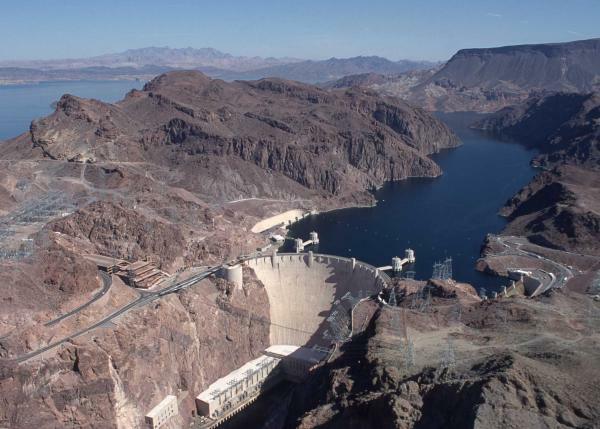 They may store water for hydroelectric power generation, irrigation or for a flood control project. Storage dams are the most common type of dams and in general the dam means a storage dam unless qualified otherwise. Diversion dams: A diversion dam is constructed for the purpose of diverting water of the river into an off-taking canal (or a conduit). They provide sufficient pressure for pushing water into ditches, canals, or other conveyance systems. Such shorter dams are used for irrigation, and for diversion from a stream to a distant storage reservoir. A diversion dam is usually of low height and has a small storage reservoir on its upstream. The diversion dam is a sort of storage weir which also diverts water and has a small storage. Sometimes, the terms weirs and diversion dams are used synonymously. Detention dams: Detention dams are constructed for flood control. A detention dam retards the flow in the river on its downstream during floods by storing some flood water. Thus the effect of sudden floods is reduced to some extent. The water retained in the reservoir is later released gradually at a controlled rate according to the carrying capacity of the channel downstream of the detention dam. Thus the area downstream of the dam is protected against flood. Debris dams: A debris dam is constructed to retain debris such as sand, gravel, and drift wood flowing in the river with water. The water after passing over a debris dam is relatively clear. Coffer dams: It is an enclosure constructed around the construction site to exclude water so that the construction can be done in dry. A cofferdam is thus a temporary dam constructed for facilitating construction. A coffer dam is usually constructed on the upstream of the main dam to divert water into a diversion tunnel (or channel) during the construction of the dam. When the flow in the river during construction of the dam is not much, the site is usually enclosed by the coffer dam and pumped dry. Sometimes a coffer dam on the downstream of the dam is also required. Gravity Dams: A gravity dam is a massive sized dam fabricated from concrete or stone masonry. They are designed to hold back large volumes of water. 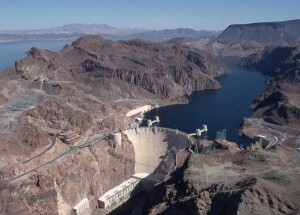 By using concrete, the weight of the dam is actually able to resist the horizontal thrust of water pushing against it. This is why it is called a gravity dam. Gravity essentially holds the dam down to the ground, stopping water from toppling it over. 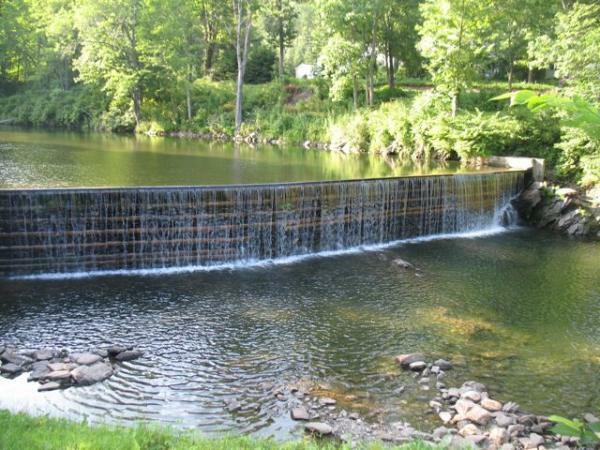 Gravity dams are well suited for blocking rivers in wide valleys or narrow gorge ways. Since gravity dams must rely on their own weight to hold back water, it is necessary that they are built on a solid foundation of bedrock. Examples of Gravity dam: Grand Coulee Dam (USA), ( Nagarjuna Sagar Dam (India) and Itaipu Dam ( Between Brazil and Paraguay). Earth Dams: An earth dam is made of earth (or soil) built up by compacting successive layers of earth, using the most impervious materials to form a core and placing more permeable substances on the upstream and downstream sides. 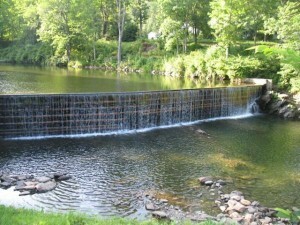 A facing of crushed stone prevents erosion by wind or rain, and an ample spillway, usually of concrete, protects against catastrophic washout should the water overtop the dam. Earth dam resists the forces exerted upon it mainly due to shear strength of the soil. Although the weight of the earth dam also helps in resisting the forces, the structural behavior of an earth dam is entirely different from that of a gravity dam. 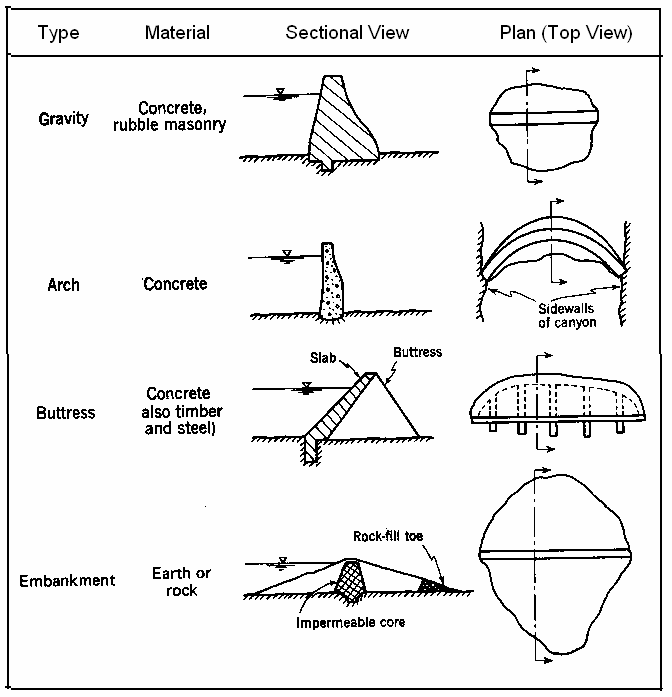 The earth dams are usually built in wide valleys having flat slopes at flanks (abutments).The foundation requirements are less stringent than those of gravity dams, and hence they can be built at the sites where the foundations are less strong. They can be built on all types of foundations. However, the height of the dam will depend upon the strength of the foundation material. Rockfill Dams: A rockfill dam is built of rock fragments and boulders of large size. An impervious membrane is placed on the rockfill on the upstream side to reduce the seepage through the dam. The membrane is usually made of cement concrete or asphaltic concrete. In early rockfill dams, steel and timber membrane were also used, but now they are obsolete. A dry rubble cushion is placed between the rockfill and the membrane for the distribution of water load and for providing a support to the membrane. Sometimes, the rockfill dams have an impervious earth core in the middle to check the seepage instead of an impervious upstream membrane. The earth core is placed against a dumped rockfill. It is necessary to provide adequate filters between the earth core and the rockfill on the upstream and downstream sides of the core so that the soil particles are not carried by water and piping does not occur. The side slopes of rockfill are usually kept equal to the angle of repose of rock, which is usually taken as 1.4:1 (or 1.3:1). Rockfill dams require foundation stronger than those for earth dams. Arch Dams: An arch dam is curved in plan, with its convexity towards the upstream side. 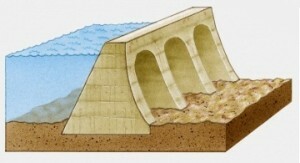 An arch dam transfers the water pressure and other forces mainly to the abutments by arch action. An arch dam is quite suitable for narrow canyons with strong flanks which are capable of resisting the thrust produced by the arch action. The section of an arch dam is approximately triangular like a gravity dam but the section is comparatively thinner. The arch dam may have a single curvature or double curvature in the vertical plane. Generally, the arch dams of double curvature are more economical and are used in practice. Buttress Dams: Buttress dams are of three types : (i) Deck type, (ii) Multiple-arch type, and (iii) Massive-head type. A deck type buttress dam consists of a sloping deck supported by buttresses. Buttresses are triangular concrete walls which transmit the water pressure from the deck slab to the foundation. Buttresses are compression members. Buttresses are typically spaced across the dam site every 6 to 30 metre, depending upon the size and design of the dam. Buttress dams are sometimes called hollow dams because the buttresses do not form a solid wall stretching across a river valley.The deck is usually a reinforced concrete slab supported between the buttresses, which are usually equally spaced. In a multiple-arch type buttress dam the deck slab is replaced by horizontal arches supported by buttresses. The arches are usually of small span and made of concrete. In a massive-head type buttress dam, there is no deck slab. Instead of the deck, the upstream edges of the buttresses are flared to form massive heads which span the distance between the buttresses. The buttress dams require less concrete than gravity dams. But they are not necessarily cheaper than the gravity dams because of extra cost of form work, reinforcement and more skilled labor. The foundation requirements of a buttress dam are usually less stringent than those in a gravity dam. Cantilever type steel dams. 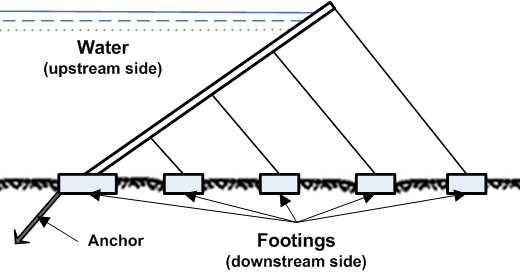 In a direct strutted steel dam, the water pressure is transmitted directly to the foundation through inclined struts. In a cantilever type steel dam, there is a bent supporting the upper part of the deck, which is formed into a cantilever truss. 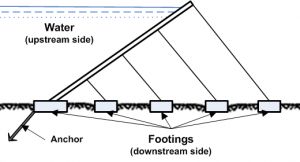 This arrangement introduces a tensile force in the deck girder which can be taken care of by anchoring it into the foundation at the upstream toe. Hovey suggested that tension at the upstream toe may be reduced by flattening the slopes of the lower struts in the bent. However, it would require heavier sections for struts. Another alternative to reduce tension is to frame together the entire bent rigidly so that the moment due to the weight of the water on the lower part of the deck is utilised to offset the moment induced in the cantilever. This arrangement would, however, require bracing and this will increase the cost. These are quite costly and are subjected to corrosion. These dams are almost obsolete. Steel dams are sometimes used as temporary coffer dams during the construction of the permanent dams. Steel coffer dams are supplemented with timber or earthfill on the inner side to make them water tight. The area between the coffer dams is dewatered so that the construction may be done in dry for the permanent dam. Timber Dams: Main load-carrying structural elements of timber dam are made of wood, primarily coniferous varieties such as pine and fir. Timber dams are made for small heads (2-4 m or, rarely, 4-8 m) and usually have sluices; according to the design of the apron they are divided into pile, crib, pile-crib, and buttressed dams.